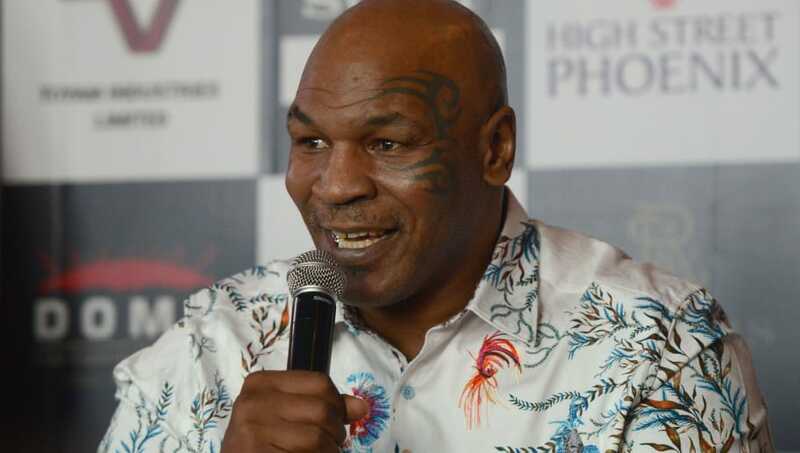 Mike Tyson may not be back and boxing, but he's still giving us some of the best stories in the sport. Some of these go back to well before his glory days when he was just a little kid. When you're trying to be the best, you train as hard as ever and do whatever you can to get to the next level. That includes having someone convince you that you're an animal. Tyson explained during a podcast interview with Joe Rogan that his trainer used to bring him to a hypnotist prior to fights when he was just 11-years old. Oh, he also tried acid for the first time at that same age. Can you believe this is the guy that was involved in a government convention? Tyson said that the hypnotist would tell him to be a savage or an animal and to jab in a ferocious fashion. He said it helped him calm down and blackout, taking the nerves away from a fight when he was younger. Which do you think is a more likely reason why he decided to get tigers? The acid, or the hypnotist telling him that he was a ferocious animal? You can make the argument either way. As absurd as all of this is, you can't say that it didn't work. He finished his career with a 50-6 record and became the youngest heavyweight champion in history. Please, do not take this as advice to give your future prizefighter acid or to put him in front of a hypnotist. In fact, do the opposite.